Probate law ensures that all debts are paid and property goes to the people intended by the deceased. It is nothing to fear, especially if you have trained and experienced guidance. We can be your guide. Even in apparently straightforward estate cases, there are sometimes disputes between beneficiaries. Should the need arise, Dunlap Law Firm and its staff will maintain a professional courtroom presence to dispel the emotionally charged process of probating a challenged will, disputed executor, or judicial decision. 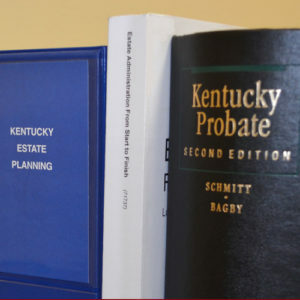 Whitney Dunlap will try to dissolve family disputes amicably and, when necessary, assertively defend his client’s beneficiary rights within the Kentucky probate court. The death of a loved one and the different expectations of family, heirs and beneficiaries can cause great stress. Different people can see the same thing in different ways, like what a Will or Trust says, or what the deceased intended or meant to accomplish. Dunlap Law Firm has helped clients contest being excluded from a Will, supporting the Will against claims from estranged children, enforcing the claims of care givers, and battling the exercise of undue influence or the mental incompetency of an ill person who wrote a Will. If you are concerned with how an Estate is being handled, contact us. We will be able to help you.